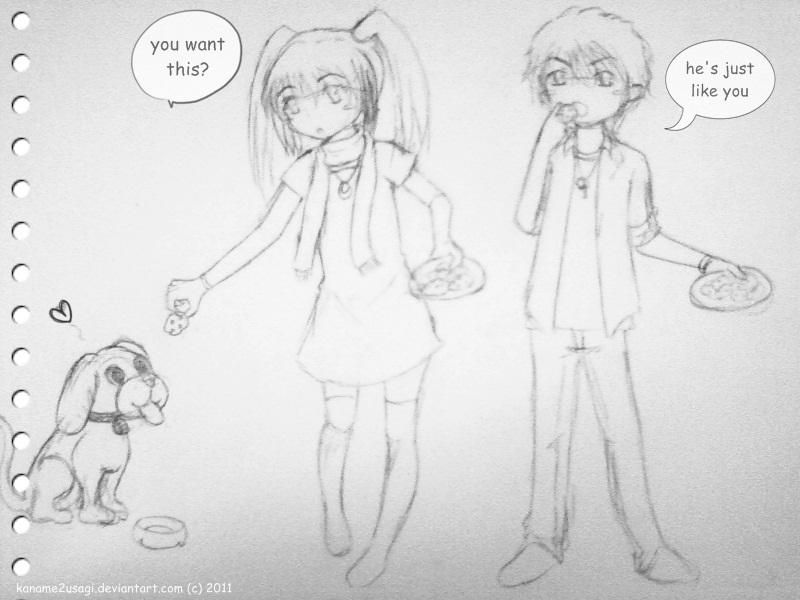 The girl was eating her favorite chocolate chips with her boyfriend, but their puppy trying to take the girl’s chip. The girl gives one of her chips, but the puppy didn’t enough to eat just one chip so he asks more. The boy warned the girl if her chips all gone the boy didn’t want to give his chips to her and the puppy. He just think that his girlfriend is same as the puppy, same in liking chocolate chips and same in eating so much chips at one time.